The nominal and ordinal array data types might be removed in a future release. To represent ordered and unordered discrete, nonnumeric data, use the Categorical Arrays (MATLAB) data type instead. This example shows how to plot data grouped by the levels of a categorical variable. The variable Acceleration contains acceleration measurements on 100 sample cars. The variable Origin is a character array containing the country of origin for each car. Convert Origin to a nominal array. There are six unique countries of origin in the sample. By default, nominal orders the countries in ascending alphabetical order. 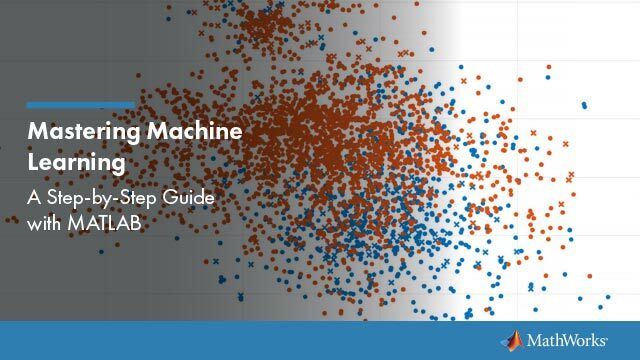 Plot data grouped by category. 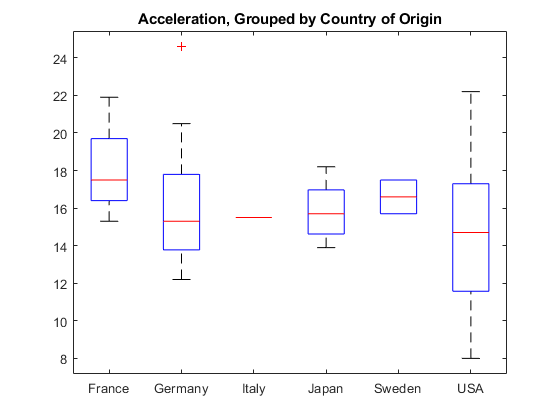 Draw box plots for Acceleration, grouped by Origin. The box plots appear in the same order as the categorical levels (use reorderlevels to change the order of the categories). Few observations have Italy as the country of origin. Tabulate the number of sample cars from each country. Only one car is made in Italy. Delete the Italian car from the sample. Even though the car from Italy is no longer in the sample, the nominal variable, Origin2, still has the category Italy. Note that this is intentional—the levels of a categorical array do not necessarily coincide with the values. Use droplevels to remove the Italy category. The Italy category is no longer in the nominal array, Origin2. 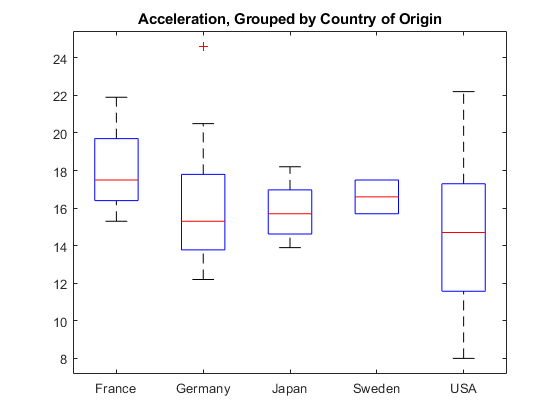 Draw box plots of Acceleration2, grouped by Origin2. The plot no longer includes the car from Italy.